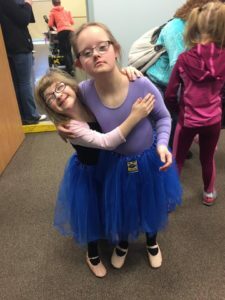 Dance Without Limits is a 501c3 Non-Profit organization that provides a dance program in Des Moines, Iowa for children and young adults with special needs who may not otherwise have the opportunity to experience the joy of dance. Our fall and spring sessions are comprised of one-hour classes that are designed to suit each individual’s needs. 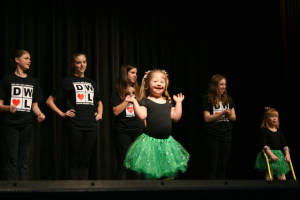 During classes held once a week, a period of professional dance instruction is provided by instructors and volunteers trained to work with dancers who have special needs. We offer Lite-Gait equipment for children who need extra support with standing. We have a teacher who is able to communicate in American Sign Language, and volunteers who are learning some simple signs. At the end of each session, participants perform in a recital for family and friends. Spring session’s registration is now closed. Fall session dates coming soon. Fall 2019 registration for current students will be held Saturday, August 31st @ 5:00pm. New student registration will open, Sunday September 1st @ noon. If you are interested in receiving a registration link via email and being added to our email list, send your request to info@dancewithoutlimits.org. Dance Without Limits classes are offered twice a year, in the fall and in the spring. Classes are held on Sundays at The School of Classical Ballet and Dance (SCBD), 1509 42nd Street, West Des Moines. The cost is $50 for the whole 8-10 week session for either spring or fall session. Classes for students are divided into Movement and Technique. Movement classes are the main classes for Dance Without Limits and are great for students new to the Dance Without Limits program. Students, who also require special one-on-one attention with a volunteer or additional assistance dancing, will benefit highly from the Movement program. 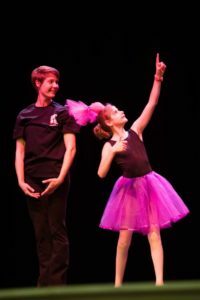 Technique classes are for students who can move through ballet and tap instruction without the aid of a special volunteer. One or two volunteers will be present during the class to assist with overall structure while encouraging students to dance on their own. Students in wheelchairs or using equipment they can manage independently will also be considered. We create movement around his/her unique abilities. Both Movement and Technique classes are one-hour long. All Spring 2019 Classes will be held at the School of Classical Ballet and Dance. *Please note all students interested in Technique classes must gain approval from Program Coordinator and/or teacher prior to joining the class. Interested in becoming a Dance Without Limits mentor or volunteer? 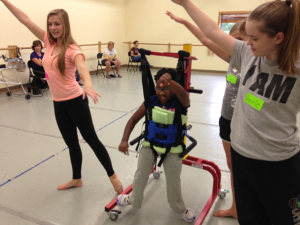 The Dance Without Limits program is special because of the dancers, but it is not possible without volunteers. We are seeking volunteers with or without dance experience, ages 12 and up, to partner with Dance Without Limits students. 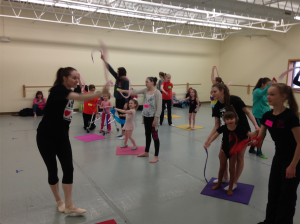 Each volunteer is responsible in assisting dancers with any modifications or guidance. Our staff and lead volunteers will provide training. If you would like to sign up to volunteer, please contact Dance Without Limits Volunteer Coordinator, Stephenie Tiedens at Stephenie.Tiedens@gmail.com. 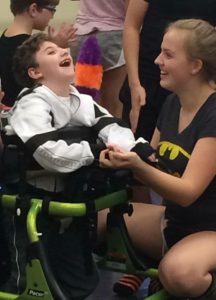 To connect with other Dance Without Limits families or to keep up-to-date with all that’s happening in the studio, ‘like’ Dance Without Limits on Facebook !